If you are looking for a Men’s Shed on Auckland’s North Shore, you’ve found it. 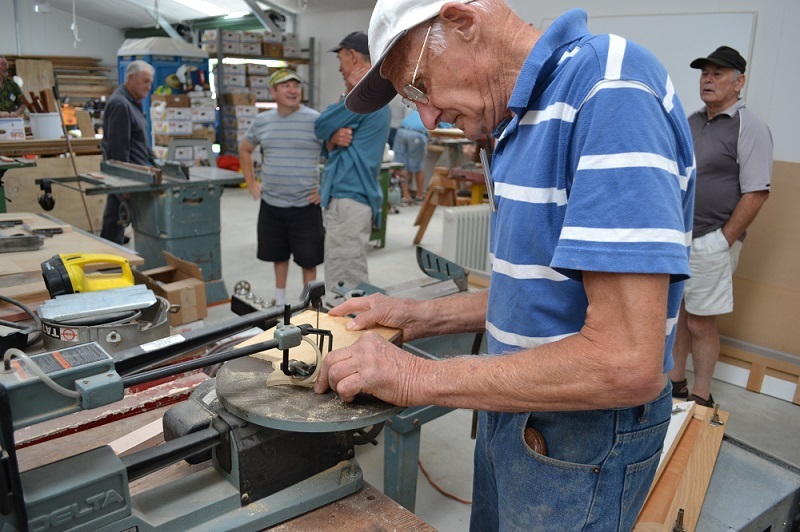 Men’s Shed North Shore has a purpose built shed of 400 m2 and is fully insulated providing a comfortable work environment during summer and winter. The shed is set up for engineering, woodwork, model making and electronics with a large kitchen/dining area for those that just like to pop in and have a cuppa with the chaps. It’s a fascinating workshop to wonder through looking at the variety of personal and community based projects being worked on. Friday and Saturday 9am to 2pm. Located in Elliott Reserve, 34 Elliott Ave, (off James Street), Glenfield and adjacent to the Glenfield Tennis Club. We have level access with plenty of parking available. Give us a call on 09 442 2145, come along and have a look.